UPDATE 1445 GMT: An Israeli “senior security source” has told the media that the Iranian general killed in Israel’s airstrike in southeast Syria on Sunday was not the intended target. We did not expect the outcome in terms of the stature of those killed — certainly not the Iranian general. We thought we were hitting an enemy field unit that was on its way to carry out an attack on us at the frontier fence. We got the alert, we spotted the vehicle, identified it was an enemy vehicle and took the shot. We saw this as a limited tactical operation. 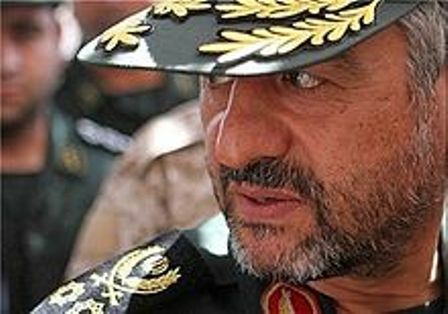 The commander of Iran’s Islamic Revolutionary Guards Corps, General Mohammad Ali Jafari, has warned Israel of retaliation over Sunday’s killing of Hezbollah and Iranian forces, including senior commanders, in an airstrike in southwest Syria. Israel’s helicopters fired two missiles on vehicles in Quneitra Province, near the Israeli-occupied Golan Heights, killing General Mohammad Ali Allah-Dadi, one of the Revolutionary Guards’ leading officers in Syria. Another Iranian, Hezbollah commander Abu Ali Tabatabai was also slain, as were several Hezbollah commanders and fighters. One Iranian site, Tabnak, said several other Iranian personnel were casualties. Iranian Speaker of Parliament Ali Larijani buttressed Jafari’s rhetoric with the pronouncement that Israel is responsible for the violence and destruction in the Middle East. Iran has promoted its military cooperation with Russia by hosting Defense Minister Sergei Shoygu and signing memoranda for bilateral cooperation. Iranian Defense Minister Hossein Dehghan said the two countries had “identical views regarding regional and international developments”. Implicitly referring to the Syrian crisis, where Russia and Iran have propped up the Assad regime, he declared that regional problems should be solved by regional countries and that any foreign interference would further complicate the situation.